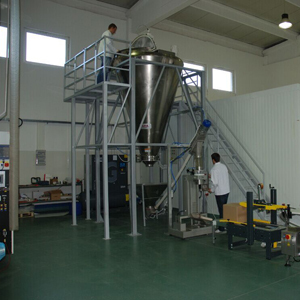 Mixing and homogenization of powders, pastes and slurries. 1.fit for continuous processing line. 2.homogenous mixture and short mixing time. 3.easy to feed, discharge & clean. 1.gentle mixing action with low horsepower consumption. 3.minimum residue, easy to clean. Conical Screw Mixer (also named Nauta Mixer, cone screw mixer, vertical screw mixer) consists of two screws located at the vessel wall that conveys product from the bottom of the conical vessel to the top. The screw is attached to an arm which rotates around the perimeter of the vessel causing convective mixing and shear. The particles at the surface opposite the screw accelerate downward in a mass flow by gravity as the diameter of the vessel decreases. The three actions result in a unique three dimensional mixing action. These versatile batch mixers are unique in many ways. Their design provides for a very gentle mixing action with low horsepower consumption. 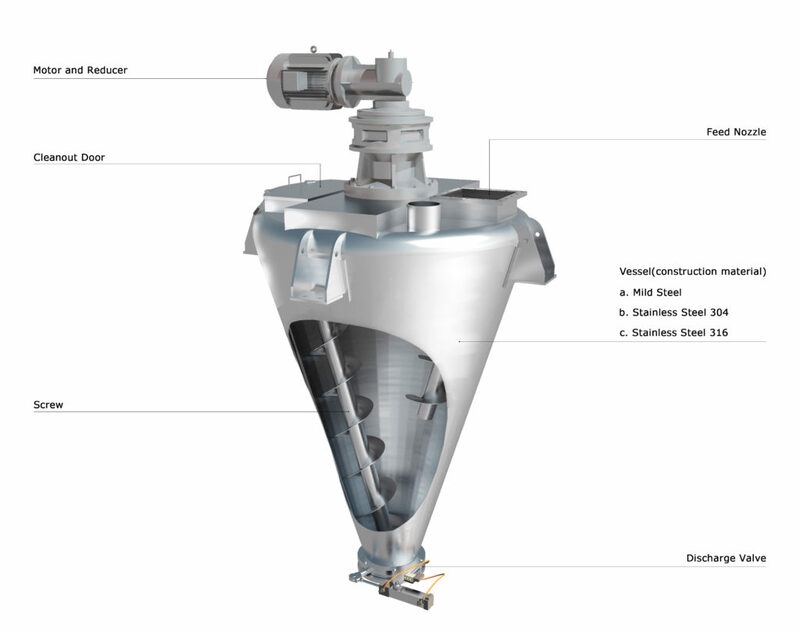 The conical vessel design allows a wide range of filling capacities and the mass flow characteristic design minimizes segregation upon discharge. Because there are no horizontal internal surfaces, products are completely discharged, minimizing product loss and providing for easy cleaning. 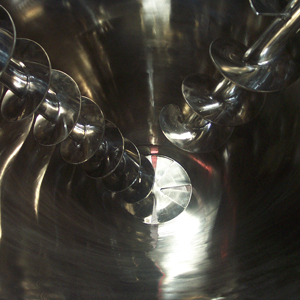 Vessels can be designed for overpressure and under pressure operating conditions and units can be supplied with a variety of accessories including liquid injection, product samplers, high intensity lump breakers, level and temperature probes, load cells for batch weighing and jackets for heating and cooling are some examples.